What can I say about bread? 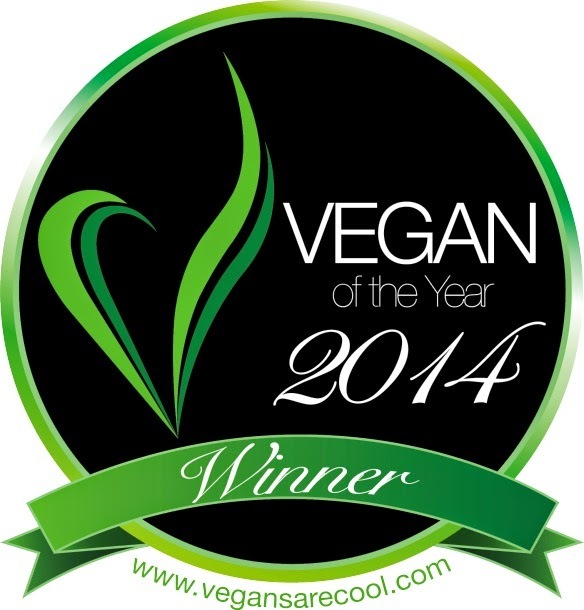 ...really what can't be said! It's the ultimate of ultimates as far as comfort foods are concerned. 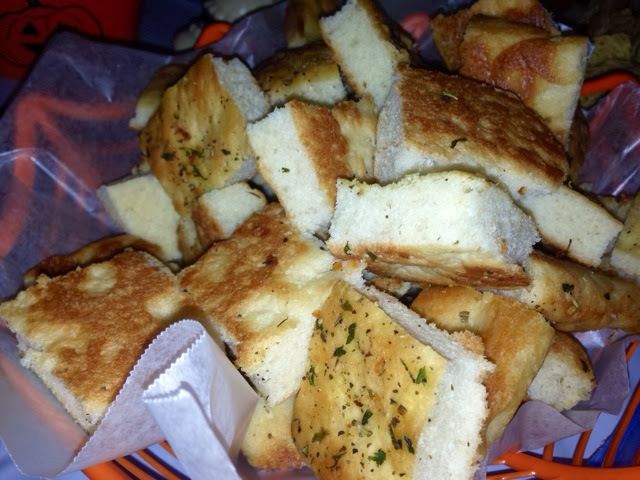 Bread is a total indulgent that is not only delish but a gateway vehicle to our meal. We sandwich it, dip it, load toppings on it, and just munch on it. Any way you enjoy it, we know that in the end we will be that much more satisfied when we gobble down a hearty meal with it. This recipe shows you how to not only make bread but a speciality one at that. 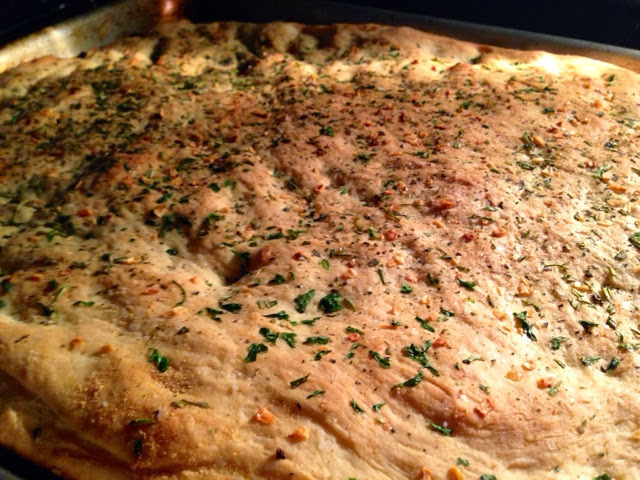 A similar bread to pizza but more leavened when made. 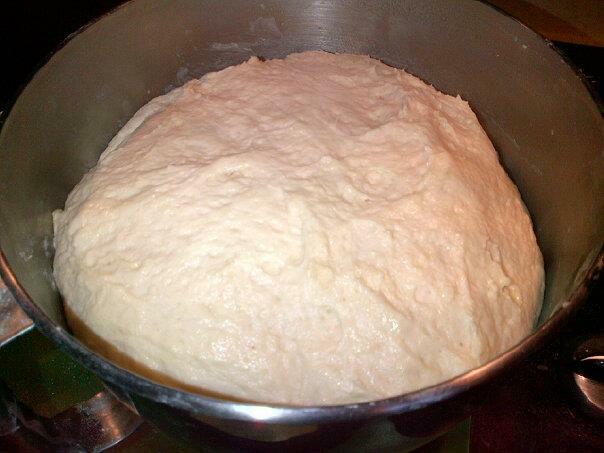 The dough rises significantly more, but just enough to still call it a flatbread. Traditional made with yeast with added oil to it to give it that familiar rich flavors. This Foccia is topped with fresh and dried herbs to create rich flavors and keeps you coming back for more. 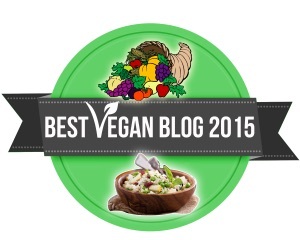 You can make it sweet or savory, paired with any herbs or seasoning you would like to use. 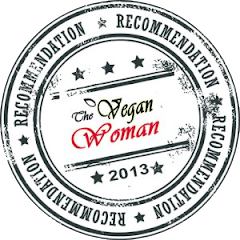 Perfect served by itself, paired with dips, top like a pizza, or even use as sandwich bread. Anyway you top or dunk it, you won't be disappointed with this perfect bread. Enjoy! In the bowl of a standing mixer fitted with a dough hook, proof the yeast by combining it with the warm water and with 1/8 teaspoon sugar. This process helps the yeast bloom and the sugar helps activate it better. Stir gently to dissolve. Let stand 10 minutes until foam appears. 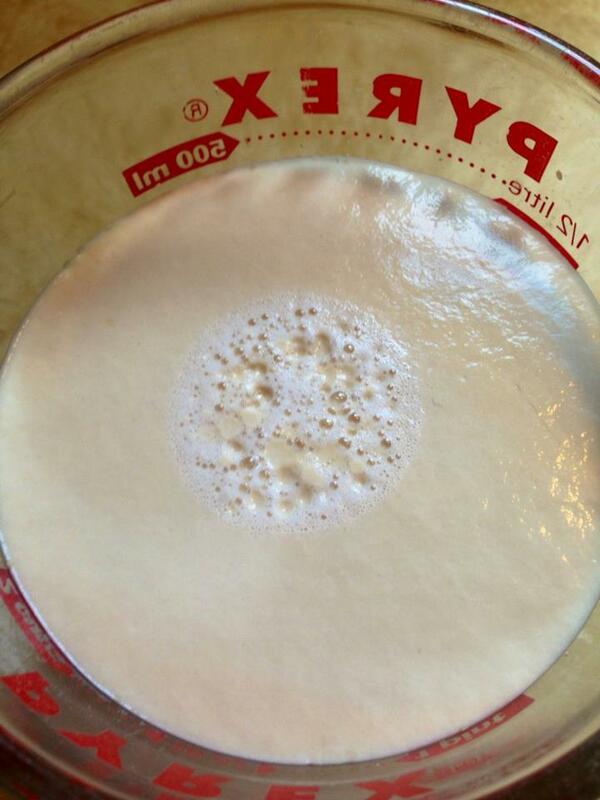 When the yeast blooms and has a good but of foam on the top of the surface, turn mixer on low. Slowly add the flour and salt and sugar to the bowl. Pour in 1/4 cup olive oil in next while it is running to incorporate. When the dough starts to come together, increase the speed to medium. Stop the machine periodically to scrape the dough off the hook. Mix until the dough is smooth and elastic, about 5 to 8 minutes, adding flour if necessary if the dough is too wet. 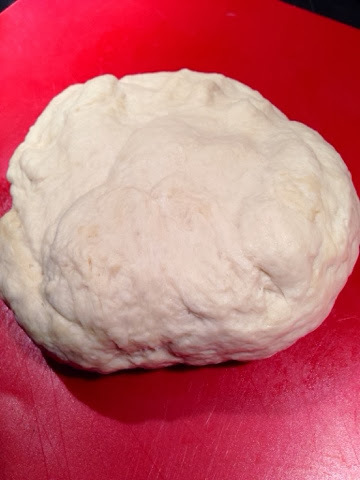 Once mixed and elastic, turn the dough out onto a work surface and fold over itself a few times. Form the dough into a round ball and place in an oiled bowl or mixer bowl, turn to coat the entire ball and sides of the bowl with oil. This helps make sure the dough doesn't form a skin. 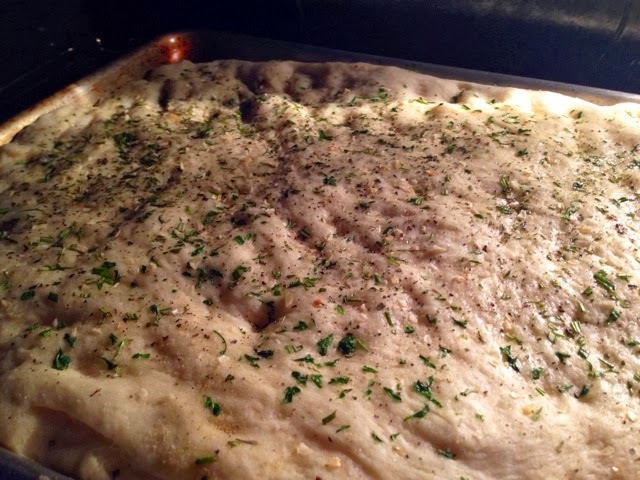 Cover with plastic wrap or damp towel and let rise in a oven that has been slight heated to 100 Degrees and turned off to create a warm environment for the dough to rise in. You could also warm in another place until the dough doubles in size, about 45 minutes. While the dough is rising, coat a baking sheet pan with a little oil. 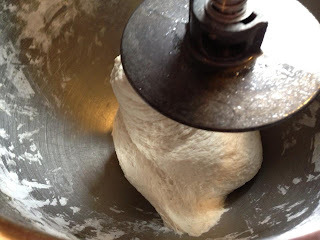 Once the dough is doubled and domed, turn it out onto the counter. 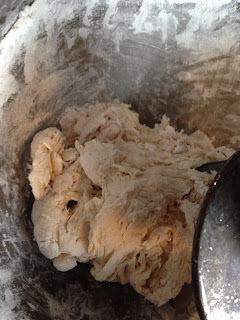 Roll and stretch the dough out to an oblong (baking sheet) shape and about 1/2-inch thick. Lay the flattened dough on the pan and cover with plastic wrap. Let rest for 15 minutes and let proof again. While this shaped dough proofs, heat your oven to 400 Degrees. Once the proofing is up, uncover the dough and dimple with your fingertips. Brush the surface with 1 to 2 Tbsps oil and then add toppings while sprinkling evenly. Bake for 20 minutes or until golden brown and cooked threw. 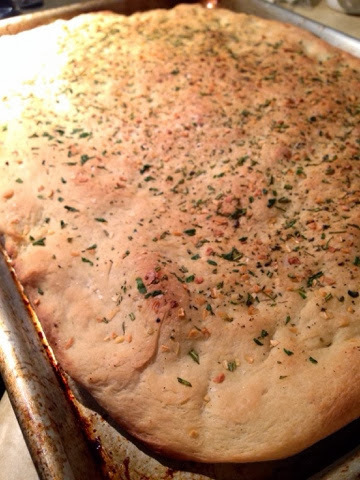 Serve the bread as a side with your meal, use as sandwich bread, use for dunking in dips, or top with extra (pizza-like) toppings and enjoy a homemade comfort food. You and the family will be sure to eat this right up before there is even time for leftovers...leftovers, what are they? Enjoy!